The Tiffen 4 x 5" Soft Contrast 3 Glass Filter reduces contrast in the opposite manner from the Low Contrast filter series. 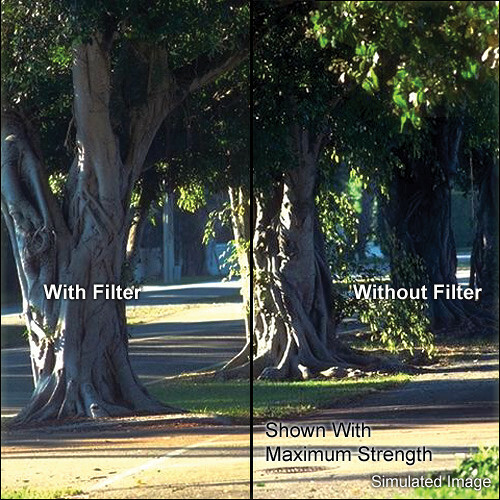 This filter absorbs light diminishing the highlighted areas while retaining the darker look of the shadow areas. In other words, the hot spots or bright areas of the image are reduced while the shadow areas remain dark.